The SUN group is located approx. 25 km from downtown Montreal. Nanomaterials and Nanotechnology⇒Graphene, N-doped graphene, Carbon nanotubes (CNTs), N-doped CNTs, Metal and Metal oxide nanostructures, and Nanocomposites from particles to wires, tubes, and films. Clean Energy Conversion and Storage ⇒Proton Exchange Membrane Fuel Cells (PEMFC) (Low-Pt and Non-Pt catalysts), Supercapacitors, Lithium Batteries, Solar Cells. Environmental applications⇒Electro-Fenton process, Wastewater Treatment. Fundamental electrochemistry & chemistry of surfaces and interfaces. Structure-property relationships of nanostructured materials. There are openings for PhD students in the research areas of Atomic Layer Deposition (ALD) and Nanomaterials for Clean Energy and Enviromental applications, with financial support at the Nano Energy Lab at INRS-EMT. Energetic and self-motivated graduate students with strong background on Materials, Chemistry, Electrochemistry, and Clean Energy are highly encouraged to apply. If interested, please send your CV directly to Professor Shuhui Sun by email. [BOOK EDITING]: Carbon Nanomaterials for Electrochemical Energy Technologies– Fundamentals and Applications, edited by S. Sun, X. Sun, Z. Chen, Y. Liu, D. Wilkinson, J. Zhang. CRC Press (Taylor & Francis Group), 2018, 313 pages, ISBN-10: 1498746020, ISBN-13: 978-1498746021. S. H. Sun and X. L. Sun “Shape-Controlled Synthesis of Platinum-Based Nanostructures as Electrocatalyst for PEM Fuel Cell Applications” in the book of “Controlled Nanofabrication: Advances and Applications”. Pan Stanford Publishing, Ru-Shi Liu Ed (2012),395-472. G. X. Zhang, S. H. Sun, and X. L. Sun “Atomic Layer Deposition of Metals and Metal Oxides for Fuel Cells Applications” in the book of “Advances in Materials Science And Engineering”. CRC Press, Sanping Jiang and Peikang Sheng Ed (2013), 249-289. Q. Wei, X. Tong, G. Zhang, S. Sun*, “Nitrogen-doped Carbon materials for proton exchange membrane fuel cells”, in the book of Carbon Nanomaterials for Electrochemical Energy Technologies – Fundamentals and Applications, CRC Press (Taylor & Francis Group), 2017. X. Tong, Q. Wei, G. Zhang, S. Sun*, “New graphene carbon materials for proton exchange membrane fuel cells”, in the book of Carbon Nanomaterials for Electrochemical Energy Technologies – Fundamentals and Applications, CRC Press (Taylor & Francis Group), 2017. X. Tong, Q. Wei, G. Zhang, S. Sun*, “New graphene family materials for Li-ion batteries”, in the book of Carbon Nanomaterials for Electrochemical Energy Technologies – Fundamentals and Applications, CRC Press (Taylor & Francis Group), 2017. G. Zhang, S. Sun*, “Advantages and challenges of 1D nanostructures for fuel cell applications”, in the book of One-Dimensional Nanostructures for PEM Fuel Cell Applications, Elsevier, 2017. G. Zhang, S. Sun*, “Preparation of 1D Catalysts for fuel cell applications Advantages and challenges of 1D nanostructures for fuel cell applications”, in the book of One-Dimensional Nanostructures for PEM Fuel Cell Applications, Elsevier, 2017. J. Prakash, S. Badilescu, R. Gupta, H. Swart, M. Packirisamy, S. Sun, “Synthesis, optical properties and surface enhanced Raman scattering applications of noble metal nanoparticles embedded in polymers” in the book of "Metal Nanoparticles: Properties, Synthesis, and Applications" by Nova Science Publisher, 2018. J. Prakash*, X. Tong, G. Zhang, S. Sun*, “3D graphene and its nanocomposites: from Synthesis to multifuctional applications” in the book of Graphene Functionalization Strategies: From Synthesis to Applications, Springer, 2019. Y. Fu, Q. Wei, G. Zhang, S. Sun. Advanced Phosphorus-Based Materials for Lithium/Sodium-Ion Batteries: Recent Developments and Future Perspectives. Q. Wei, G. Zhang, X. Yang, Y. Fu, G. Yang, N. Chen, W. Chen, S. Sun. Litchi-like porous Fe/N/C spheres with atomically dispersed FeNx promoted by sulfur as high-efficient oxygen electrocatalysts for Zn–air batteries. X. Tong⁠, X. Kong, Y. Zhou, F. Navarro-Pardo, G. Selopal⁠⁠, ⁠S. Sun, A. Govorov,H. Zhao, Z. Wang⁠, F. Rosei. Near-infrared, Heavy Metal-free Colloidal “Giant” Core/shell Quantum Dots. J. Li, Y. Song, G. Zhang, H. Liu, Y. Wang, X. Guo, S. Sun. Pyrolysis of Self-assembled Iron Porphyrin on Carbon Black as Core/Shell Structured Electrocatalysts for Highly Efficient Oxygen Reduction in both Alkaline and Acidic Medium. S. H. Sun, G. X. Zhang, D. S. Geng, Y. G. Chen, R. Y. Li, M. Cai, X. Sun. A New Highly Durable Pt Nanocatalyst for PEM Fuel Cells: the Multiarmed Star-like Nanowire Single Crystal. G. X. Zhang, S. H. Sun, R. Y. Li, X. L. Sun. New Insight into Conventional Replacement Reaction for the Large-Scale Synthesis of Various Metal Nanostructures and their Formation Mechanism. S. H. Sun, F. Jaouen, J. P. Dodelet。 Controlled Growth of Pt Nanowires on Carbon Nanospheres and Their Enhanced Performance as Electrocatalysts in PEM Fuel Cells. M. Wu, G. Zhang, J. Qiao, N. Chen, W. Chen, S. Sun. Ultra-long life rechargeable zinc–air battery based on high-performance trimetallic nitride and NCNT hybrid bifunctional electrocatalysts. Q. Wei, Y. Fu, G. Zhang, D. Yang, G. Meng, S. Sun. Rational design of novel nanostructured arrays based on porous AAO templates for electrochemical energy storage and conversion. Nano Energy. 2019, 55, 234-259. Z. Liu, X. Yang, B. Lu, Z. Shi, D. Sun, L. Xu, Y. Tang, S. Sun. Delicate topotactic conversion of coordination polymers to Pd porous nanosheets for high-efficiency electrocatalysis. Applied Catalysis B: Environmental. 2019, 243, 86-93. H. Zhao, H. Zhang, G. Liu, X. Tong⁠, ⁠J. Liu, G. S. Selopal, Y. Wang, Z. M. Wang, S. Sun, F. Rosei. Ultra-small colloidal heavy-metal-free nanoplatelets for efficient hydrogen generation. Applied Catalysis B: Environmental. 2019, in press. 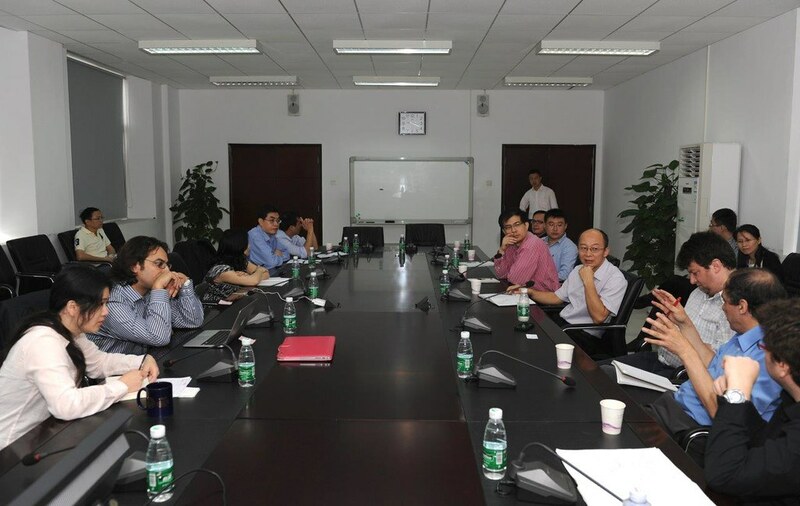 G. Selopal, H. Zhao, G. Liu, H. Zhang, X. Tong, K. Wang, J. Tang, X. Sun, S. Sun, F. Vidal, Y. Wang, Z. Wang, F. Rosei. F. Navarro-Pardo, X. Tong, X. Tong, G. S. Selopal, S. G. Cloutier, S. Sun, A. C. Tavares, H. Zhao, Z. M. Wang, F. Rosei. Graphene oxide/cobalt-based nanohybrid electrodes for robust hydrogen generation. Applied Catalysis B: Environmental. 2019, 245, 167-176. J. Zhang, Y. Huang, X. Jin, A. Nazartchouk, M. Liu, X. Tong, Y. Jiang, L. Ni, S. Sun, Y. Sang, H. Liu, L. Razzari, F. Vetrone, J. Claverie. Plasmon Enhanced Upconverting Core@Triple-Shell Nanoparticles as Recyclable Panchromatic Initiator (Blue to Infrared) for Radical Polymerization. Nanoscale Horizons, 2019, in press. H.Qiu, G.Fang, Y.Wen, P.Liu, G.Xie, X.Liu, S.Sun. Nanoporous high-entropy alloys for highly stable and efficient catalysts. J. Mater. Chem. A,, 2019,7 (11), 6499-6506. W. Huang, C. Harnagea, X. Tong, D. Benetti, S. Sun, M. Chaker, F. Rosei, R. Nechache. Epitaxial Bi2FeCrO6 Multiferroic Thin Film Photoanodes with Ultrathin p-Type NiO layers for Improved Solar Water Oxidation. ACS Applied Materials & Interfaces. 2019, in press. J. Zhang, J. Feng, L. Jia, H. Zhang, G. Zhang, S. Sun, T. Zhou. Laser-Induced Selective Metallization on Polymer Substrates using Organocopper for Portable Electronics. I. Amaechi, A. Hadj Youssef, D. Rawach, J. Claverie, S. Sun, A. Ruediger. Ferroelectric Fe-Cr Co-Doped BaTiO3Nanoparticles for the Photocatalytic Oxidation of Azo Dyes. J. Prakash, H. C. Swart, G. Zhang, S. Sun. Emerging Applications of Atomic Layer Deposition for the Rational Design of Novel Nanostructures for Surface Enhanced Raman Scattering. J. Mater. Chem. C, 2019, 7, 1447 - 1471. J. Ma, X. Tong, J. Wang, G. Zhang, Y. Lv, Y. Zhu, S. Sun, Y. Yang, Y. Song. Rare-earth metal oxide hybridized PtFe nanocrystals synthesized via microfluidic process for enhanced electrochemical catalytic performance. Electrochimica Acta. 2019, 299, 80-88. J. C. Abrego-Martinez, Y. Wang, A. Moreno-Zuria, Q. Wei, F. M. Cuevas-Muñiz, L. G. Arriaga, S. Sun, M. Mohamed. Nanostructured Mn2O3/Pt/CNTs selective electrode for oxygen reduction reaction and methanol tolerance in mixed-reactant membraneless micro-DMFC. Electrochimica Acta. 2019, 297, 230-239. G. Yang, X. Li, Y. Wang, Q. Li, Z. Yan, L. Cui, S. Sun, Y. Qu, H. Wang. Three-dimensional interconnected network few-layered MoS2/N, S co-doped graphene as anodes for enhanced reversible lithium and sodium storage. Electrochimica Acta, 2019, 293, 47-59. Y. Fu, Q. Wei, G. Zhang, Y. Zhong, N. Moghimian, X. Tong, S. Sun. LiFePO4-Graphene Composites as High-Performance Cathodes for Lithium-Ion Batteries: The Impact of Size and Morphology of Graphene. X. Yang, G. Zhang, J. Prakash, S. Sun. Recent progress in chemical vapor deposition of graphene: The layer control, transfer process, characterization and related applications. 2019, revised. G. Zhang, D. Sebastián, Q. Wei, C. Lo Vecchio, V. Baglio, S. Sun, A. Aricò, A. Tavares. Pt replacement in fuel cells by a highly active, cheap and durable tantalum-graphene hybrid electro-catalyst. 2019, submitted. N. Komba, G. Zhang, Q. Wei, J. Prakash, R. Chenitz, F. Rosei, S. Sun. Iron (II) Phthalocyanine/N-doped graphene: A Highly Efficient Non-Precious Metal Catalyst for Oxygen Reduction. 2019, submitted. Q. Wei, M. Cherif, G. Zhang, A. Almesrati, J. Chen, M. Wu, Y. Hu, T. Regier, T. K. Sham, F. Vidal, S. Sun. Transforming Reed Waste into A Highly Active Metal-Free Catalyst for Oxygen Reduction Reaction. 2019, submitted. M. Wu, Q. Wei, G. Zhang, J. Qiao, M. Wu, J. Zhang, Q. Gong, S. Sun. Fe/Co Double Hydroxide/Oxide Nanoparticles on N-Doped CNTs as Highly Efficient Electrocatalyst for Rechargeable Liquid and Quasi-Solid-State Zinc-Air Batteries. Advanced Energy Materials, 2018, 1801836. Y. Fu, Q. Wei, G. Zhang, X. Wang, J. Zhang, Y. Hu, D. Wang, L. Zuin, T. Zhou, Y. Wu, S. Sun. High-Performance Reversible Aqueous Zn-Ion Battery Based On Porous MnOx Nanorods Coated By MOF-Derived N-Doped Carbon. Advanced Energy Materials, 2018, 1801445. R. Chenitz, U. I. Kramm, M. Lefèvre, V. Glibin, G. Zhang, S. Sun, J.P. Dodelet. A specific demetalation of Fe-N4 catalytic sites in the micropores of NC_Ar+NH3 is at the origin of the initial activity loss of this highly active Fe/N/C catalyst used for the reduction of oxygen in PEM fuel cell. Energy & Environmental Science. 2018, 11, 365-382. J. Zhang, J. Liu, L. Xi, Y. Yu, N. Chen, S. Sun, W. Wang, K. Lange, B. Zhang. Single-Atom Au/NiFe Layered Double Hydroxide Electrocatalyst: Probing the Origin of Activity for Oxygen Evolution Reaction. J. Am. Chem. Soc. 2018. 140 (11), 3876. Y. Fu, Q. Wei, G. Zhang, S. Sun. Advanced Phosphorus-Based Materials for Lithium/Sodium-Ion Batteries: Recent Developments and Future Perspectives. N. Komba, Q. Wei, G. Zhang, F. Rosei, S. Sun. Controlled synthesis of graphene via electrochemical route and its use as efficient metal-free catalyst for oxygen reduction. Applied Catalysis B: Environmental. 2018, 243, 373-380. Q. Wei, G. Zhang,X. Yang, Y. Fu, G. Yang, N. Chen, W. Chen, S. Sun. Litchi-like porous Fe/N/C spheres with atomically dispersed FeNx promoted by sulfur as high-efficient oxygen electrocatalysts for Zn–air batteries. X. Tong⁠, X. Kong, Y. Zhou, F. Navarro-Pardo, G. Selopal⁠⁠, ⁠S. Sun, A. Govorov,H. Zhao, Z. Wang⁠, F. Rosei. H. Zhao⁠, D. Benetti⁠, X. Tong, H. Zhang⁠, Y. Zhou, G.Liu⁠, D. Ma, S. Sun, Z. M. Wang, Y. Wang⁠, F. Rosei. Efficient and stable tandem luminescent solar concentrators based on carbon dots and perovskite quantum dots. Nano Energy, 2018, 50, 756-765. H. Zhao, H. Zhang, X. Tong, J. Liu, G. Sepal, Z. M. Wang, S. Sun, F. Rosei. Optoelectronic Properties in Near-infrared Colloidal Heterostructured Pyramidal "Giant" Core/shell Quantum Dots. Advanced Science, 2018, 5, 1800656. Q. Wei, X. Yang, G. Zhang, D. Wang, L. Zuin, D. Banham, L. Yang, S. Ye, Y. Wang, M. Mohamedi, S. Sun. Applied Catalysis B: Environmental. 2018, 237, 85-93. J. Prakash, H. Swart, S. Sun, R. Gupta. Applied Materials Today 2018, 11, 82-135. M. Yu, Q. Wei, M. Wu, J. Wu, J. Liu, G. Zhang, S. Sun, W. Wang. Morphology controlled synthesis of SmMn2O5 nanocrystals via a surfactant-free route for Zn-air batteries. Journal of Power Sources, 2018, 396, 754-763. 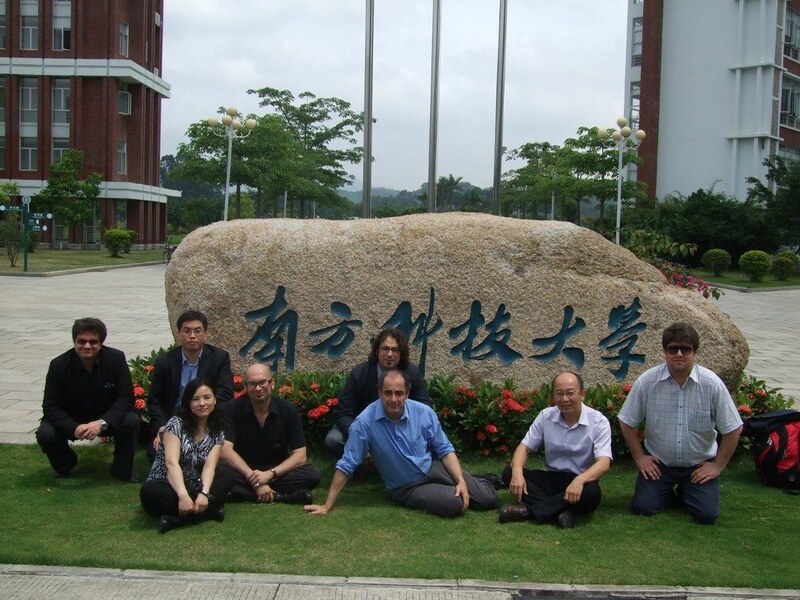 R. Adhikari, K. Basu, Y. Zhou, F. Vetrone, D. Ma, F. Vidal, S. Sun, H. Zhao, F. Rosei. Heterostructured Quantum Dot Architectures for Efficient and Stable Photoelectrochemical Hydrogen Production. J. Mater. Chem. A, 2018, 6, 6822-6829. 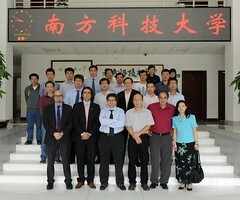 G. Zhang, M. N. Banis, Q. Wei, M. Cai, Y. Zhang, R., S. Sun, X. Sun. Pt/TiSix-NCNT Novel Janus Nanostructures: A New Type of High-Performance Electrocatalyst. ACS Applied Materials & Interfaces. 2018, 10, 10771. L. Zheng, S. Zheng, Z. Zhu, Z. Huang, G. Zhang, S. Sun, D. Yang. Radiate Titanium Oxide Micro-Rods Arrays Supporting Platinum Nanoparticles for Photo-Assisted Electrooxidation of Methanol. Advanced Materials Interfaces. 2018, 1800748. J. Prakash,V. Kumar, L. Erasmus, M. Duvenhage, G. Sathiyan, S. Bellucci, S. Sun, H. Swart. Phosphor Polymer Nanocomposite: ZnO:Tb3+ Embedded Polystyrene Nanocomposite Thin Films for Solid-State Lighting Applications. ACS Applied Nano Materials, 2018, 1 (2), 977–988. C. Melero, R. Rincon, J. Muñoz, G. Zhang, S. Sun, A. Perez, O. Royuela, C. Gonzalez, M. Calzada. Scalable graphene production from ethanol decomposition by microwave argon plasma torch. Plasma Physics and Controlled Fusion. 2018, 60, 014009. E. Yan, H. Huang, S. Sun, Y. Zou, H. Chu, L. Sun. Development of Nb-Ti-Co alloy for high-performance hydrogen separating membrane. Journal of Membrane Science, 2018, 565, 411-424. K. Basu, H. Zhang, H. Zhao, N. Pardo, F. Navarro, P. Iitkgp, L. Jin, S. Sun, F. Vetrone, F. Rosei. Highly stable Photoelectrochemical Cells for Hydrogen Production using SnO2-TiO2/Quantum Dots Heterostructured Photoanode. J. Li, Y. Song, G. Zhang, H. Liu, Y. Wang, X. Guo, S. Sun. Pyrolysis of Self-assembled Iron Porphyrin on Carbon Black as Core/Shell Structured Electrocatalysts for Highly Efficient Oxygen Reduction in both Alkaline and Acidic Medium. X. Tong, J. Zhang, G. Zhang, Q. Wei, R. Chenitz, J. Claverie, S. Sun. Ultra-thin carbon coated Pt/CNTs: a highly durable electro-catalyst for oxygen reduction. Chem. Mater, 2017, 29, 9579-9587. Y. Zhou, M. Celikin, A. Camellini, G. Sirigu, X. Tong, L. Jin, K. Basu, X, Tong, D. Barba, H. Zhao, D. Ma, S. Sun, F. Vidal, M. Rossi, A. Vomiero, F. Rosei. Ultra-Small Nanoplatelets: the Ultimate Tuning of Optoelectronic Properties. Advanced Energy Materials. 2017, 1602728. G. Zhang, Q. Wei, X. Yang, A. Tavares, S. Sun. RRDE experiments on noble-metal and noble-metal-free catalysts: Impact of loading on the activity and selectivity of oxygen reduction reaction in alkaline solution. Applied Catalysis B: Environmental, (2017), 206, 115-126. C. Melero, R. Rincon, L. Aguilar-Vazquez, G. Zhang, S. Sun, M. Calzada. Fast, Efficient and Simple Method for the Production of Large-Scale and Substrate-Free Graphene by Microwave Plasma Torch. 2D Materials, (2017), 4, 042004. X. Tong⁠, Y. Zhou, L. Jin⁠, K. Basu, R. Adhikari⁠, G. Selopal⁠⁠, ⁠X. Tong, H. Zhao, S. Sun, A. Vomiero, Z. Wang⁠, F. Rosei. Heavy metal-free, near-infrared colloidal quantum dots for efficient photoelectrochemical hydrogen generation. Nano Energy, (2017), 31, 441–449. R. Chang, D. Yang, L. Zheng, C. Wang, G. Zhang, S. Sun. Synthesis of Hierarchical Platinum-Palladium-Copper Nanodendrites for Efficient Methanol Oxidation. Applied Catalysis B: Environmental, 2017, 211, 2015-211. L. Zheng, D. Yang, R. Chang, C. Wang, G. Zhang,S. Sun. Crack-Tips Enriched Platinum-Copper Superlattice Nanoflakes as Highly Efficient Anode Electrocatalyst for Direct Methanol Fuel Cells. Q. Wei, G. Zhang, X. Yang, R. Chenitz, D. Banham, L. Yang, S. Ye, S. Knights, S. Sun. 3D porous Fe/N/C spherical nanostructures as high-performance electrocatalysts for oxygen reduction in both alkaline and acidic media. ACS Applied Materials & Interfaces. 2017, 9, 36944-36954. J.C. Abrego-Martínez, A. Moreno-Zuria, F.M. Cuevas-Muñiz, L.G. Arriaga, S. Sun, M. Mohamedi. Design, fabrication and performance of a mixed-reactant membraneless micro direct methanol fuel cell stack. 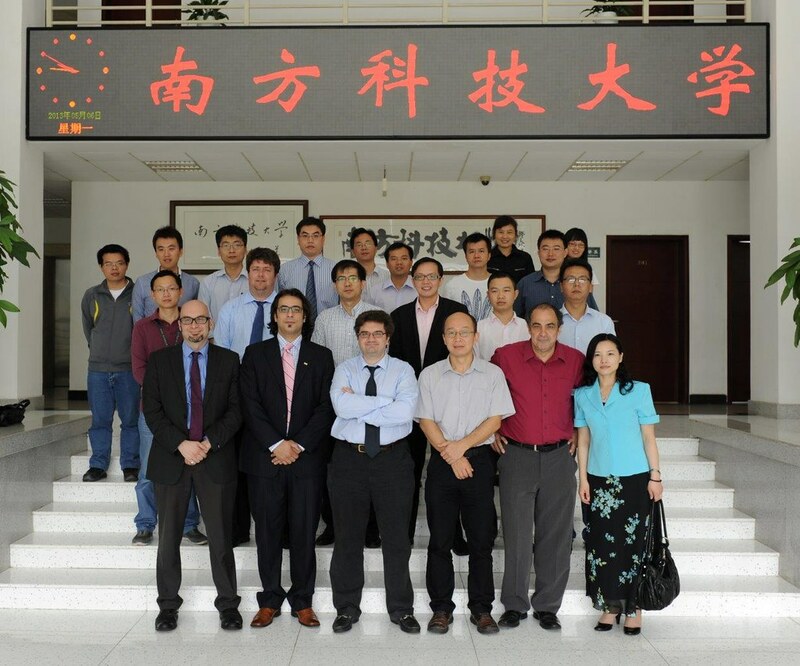 H. Zhang, G. S. Selopal, Y. Zhou, X. Tong, D. Benetti, L.Jin, F. Navarro-Pardo, Z. Wang, S. Sun, H. Zhao, F. Rosei. Controlled Synthesis of Near-infrared Quantum Dots for Optoelectronic Devices. J. C. Abrego-Martínez, Y. Wang, F. M. Cuevas-Muñiz, L. G. Arriaga, S Sun, M. Mohamedi. Fabrication and evaluation of passive alkaline membraneless microfluidic DMFC. International Journal of Hydrogen Energy. 2017, 42, 21969-21975. R. Bavand, Q. Wei, G. Zhang, S. Sun, A. Yelon, E. Sacher. PtRu Alloy Nanoparticles II. Chemical and Electrochemical Surface Characterization for Methanol Oxidation. The Journal of Physical Chemistry C, 2017, 121, 23120–23128. Q. Wei, Y. Fu, G. Zhang, S. Sun. Rational design of carbon-based oxygen electrocatalysts for zinc–air batteries. Current Opinion in Electrochemistry, 2017, 4 (1) 45-59. S. Mondal, Q. Wei, W. J. Ding, H. A. Hafez, M. A. Fareed, A. Laramée, X. Ropagnol, G. Zhang, S. Sun, Z. M. Sheng, J. Zhang, T. Ozaki. Aligned copper nanorod arrays for highly efficient generation of intense ultra-broadband THz pulses. X. Tong, Q. Wei, X. Zhan, G. Zhang, S. Sun. The New Graphene Family Materials: Synthesis and Applications in Oxygen Reduction Reaction. Catalysts, (2017), 7, 1; doi:10.3390/catal7010001.Invited paper. F. Navarro-Pardo, L. Jin, R. Adhikari, X. Tong, D. Benetti, K. Basu, S. Vanka, H.G. Zhao, Z.T. Mi, S.H. Sun, V.M. Castano, A. Vomiero, F. Rosei. Nanofiber-supported CuS nanoplatelets as a high efficiency counter electrode for quantum dot-based photoelectrochemical hydrogen production. Mater. Chem. Front., (2017), 1, 65-72. E. Zhang, M. Wu, Q. Tang, Q. Gong, S. Sun, J. Qiao, L. Zhang. Using aminopyrine as a nitrogen-enriched smallmolecule precursor to synthesize high-performingnitrogen doped mesoporous carbon for catalyzingoxygen reduction reaction. RSC Adv., (2017), 7, 669–677. G. Zhang, R. Chenitz, M. Lefèvre, S. Sun, J. P. Dodelet. Is iron involved in the lack of stability of Fe/N/C electrocatalysts used to reduce oxygen at the cathode of PEM fuel cells? Nano Energy, (2016) 29, 111–125. Invited paper. L. Jin, G. Sirigu, X. Tong, A. Camellini, A. Parisini, G. Nicotra, H. Zhao, S. Sun, V. Morandi, M. Zavelani-Rossi, F. Rosei, A. Vomiero. Nano Energy, (2016), 30, 531–541. Q. Wei, Y. Fu, G. Zhang, Y. Wang, X. Wang, M. Mohamedi, S. Sun. Highly-ordered microporous carbon nanospheres: a promising anode for high-performance sodium-ion batteries. RSC Adv. (2016) , 6, 84149-84154. Y. Fu, Q. Wei, X. Wang, S. Sun. Stem-like nano-heterostructural MWCNTs/α-Fe2O3@TiO2 composite with high lithium storage capability. Journal of Alloys and Compounds (2016) 684, 419–427. H. Zhao, L. Jin, Y. Zhou, B. Alotaibi, Z. Fan, A. Govorov, Z. Mi, S. Sun, F. Rosei, A. Vomiero. Green Synthesis of Near Infrared Core/shell Quantum Dots for Photocatalytic Hydrogen Production. Nanotechnology, (2016), 27, 495405 (9pp). X. Zhou, S. Tang, Y. Yin, S. Sun, J. Qiao. Hierarchical porous N-doped graphene foams with superior oxygen reduction reactivity for polymer electrolyte membrane fuel cells. Applied Energy. (2016) 175, 459–467. Y. Yao, Y. You, G. Zhang, J. Liu, H. Sun, Z. Zou, S. Sun. “Highly Functional Bioinspired Fe/N/C ORR Catalysts: Structure Regulating Oxygen Sorption. ACS Applied Materials & Interfaces (2016), 8 (10), 6464–6471. S. An, S. Sun, J. Oh. Reduction-responsive sheddable carbon nanotubes dispersed in aqueous solution. Macromol. Rapid Commun. (2016), DOI: 10.1002/marc. 201500725. Y. Fu, Q. Wei, X. Wang, G. Zhang, H. Shu, X. Yang, A. Tavares, S. Sun. Fe3O4 Nanoparticles/Graphene for High-Performance Lithium-ion and Sodium-ion Batteries. RSC Adv., (2016), 6, 16624. H. Li, W. Wang, Y. Cheng, X. Xie, S. Sun, J. Zhou, Y. Hu, L. Li, X. Du, K. Gao, Z. Li, Z. Cui, S. Wang, T. Xue, H, Chen, Y. Zhao, F. Lu, W. Wang, H. Liu. Identifying Descriptor of Governing NO Oxidation on Mullite Sm(Y, Tb, Gd, Lu)Mn2O5 for Diesel Exhaust Cleaning. Q. Wei, X. Tong, G. Zhang, J. Qiao, Q. Gong, S. Sun. Nitrogen-doped carbon nanotube & graphene materials for oxygen reduction reactions. Catalysis (2015) 5 (3): 1574-1602.Invited paper. Y. Fu, Q. Wei, Xi. Wang, H. Shu, X. Yang, S. Sun. Porous hollow α-Fe2O3@TiO2 core–shell nanospheres for superior lithium/sodium storage capability. J. Mater. Chem. A, (2015) 3, 13807-13818. Q. Zhang, T. Zhu, X. Qing, J. Qiao, S. Sun. Effect of acid-leaching on carbon-supported copper phthalocyanine tetrasulfonic acid tetrasodium salt (CuTSPc/C) for oxygen reduction reaction in alkaline electrolyte: active site studies. RSC Adv., (2015) 5, 50344. Bioinspired synthesis of hierarchically porous graphitic carbon spheres with outstanding high-rate performance in lithium-ion batteries. Chem. Mater. (2015), 27, 336–342. Oxygen reduction to hydrogen peroxide on Fe3O4 nanoparticles supported on Printex carbon and Graphene. Electrochimica Acta, (2015), 162, 263–270, Invited paper. Facile synthesis of Zr and Ta-based catalysts for the oxygen reduction reaction. Chinese Journal of Catalysis, (2015),36, 484-489. Invited paper. Graphene-supported substoichiometric sodium tantalate as methanol tolerant non-noble metal catalyst for the electro-reduction of oxygen. ChemCatChem, (2015), 7, 911–915, DOI: 10.1002/cctc.201403026. Plasma nitriding induced growth of Pt-nanowire arrays as high performance electrocatalyst for fuel cells. Scientific Reports, (2014), 4, 6439; DOI:10.1038/srep06439. Chemical Structure of Nitrogen-Doped Graphene with Single Platinum Atoms and Atomic Clusters as a Platform for the PEMFC Electrode. J. Phys. Chem. C. (2014), 118(8), 3890–3900. Porous dendritic platinum nanotubes with extremely high activity and stability for oxygen reduction reaction. Scientific Reports (from the publishers of Nature), (2013), 3: 526 | DOI: 10.1038/srep01526. Single-atom catalysis of methanol oxidation using Pt/graphene achieved through atomic layer deposition. Scientific Reports (from the publishers of Nature), (2013), 3: 1775| DOI: 10.1038/srep01775. TiSi2Ox coated N-doped Carbon Nanotubes as Pt Catalyst Support for the Oxygen Reduction Reaction in PEMFCs. Journal of Physical Chemistry C, 117, (2013), 15457-15467. Highly Stable and Active Pt/Nb-TiO2 Carbon-free Electrocatalyst for Proton Exchange Membrane Fuel Cells. A New Highly Durable Pt Nanocatalyst for PEM Fuel Cells: the Multiarmed Star-like Nanowire Single Crystal. A Nanostar is born: Energy. Materials Today. 14 (2011) 132. Morphology-Controlled Green Synthesis of Single Crystalline Silver Dendrites, Dendritic Flowers and Rods, and their Growth Mechanism. Crystal Growth & Design, 11 (2011) 2493–2499. Highly Structure-tunable SnO2 Nanotube Arrays by Template-directed Atomic Layer Deposition. J. Mater. Chem., 21 (2011) 12321-12330. H. Meng, F. Y. Xie, J. Chen, S. H. Sun, P. K. Shen. Controllable Growth of Single Crystal Pt Nanowires on Carbon Particles and Its Application as Novel Electrocatalyst for Methanol Electro-oxidation. Heterostructural Coaxial Nanotubes of CNT@Fe2O3 via Atomic Layer Deposition: Effects of Surface Functionalization and Nitrogen-doping”. J. Nanopart. Res. 13 (2011) 1207–1218. New Insight into Conventional Replacement Reaction for the Large-Scale Synthesis of Various Metal Nanostructures and their Formation Mechanism. Controlled Growth/Patterning of Ni Nanohoneycombs on Various Desired Substrates. Room Temperature Large-Scale Aqueous Synthesis of Single-Crystalline Nanoscrolls: the Case of Nickel. Chem. Mater., 22 (2010) 4721–4727. Chemical and morphological characterizations of Ni/Co alloy nanoparticles by co-evaporation onto highly oriented pyrolytic graphite. J. Colloid Interface Sci., 350 (2010) 16–21. Ultrathin single crystal Pt nanowires grown on N-doped carbon nanotubes. Chem. Commun. 45 (2009) 7048–7050. Template-free, Surfactant-free Room Temperature Synthesis of Self-Assembled 3D Pt Nanoflowers from Single-Crystal Nanowires. Adv. Mater., 20 (2008) 571–574. A facile route for the self-organized high-density decoration of Pt nanoparticles on carbon nanotubes. J. Phys. Chem. C., 112 (2008) 11717–11721. Controlled Growth of Pt Nanowires on Carbon Nanospheres and Their Enhanced Performance as Electrocatalysts in PEM Fuel Cells. Adv. Mater., 20 (2008) 3900–3904. Formation of a Porous Platinum Nanoparticle Froth for Electrochemical Applications, Produced without Templates, Surfactants, or Stabilizers. Chem. Mater., 20 (2008) 4677–4681. Electro-synthesis of Pd single crystal nanothorns and their application in the oxidation of formic acid. Chem. Mater., 20, (2008) 6998–7002. The surface analytical characterization of carbon fibers functionalized by H2SO4/HNO3 treatment. Controlled Growth of SnO2 Hierarchical Nanostructures by Using a Multi-Step Thermal Vapor Deposition Process. Chemistry ─A European Journal, 13 (2007) 9087–9092. Controlled Growth and Optical (D39). Properties of One-Dimensional ZnO Nanostructures on SnO2 Nanobelts. Crystal Growth & Design, 7 (2007) 1988–1991. Synthesis and Characterization of Carbon Nanotube–Platinum Nanowire Heterostructures. Chem. Mater., 19 (2007) 6376–6378. Characterization of Pt Nanoparticles Deposited onto Carbon Nanotubes Grown on Carbon Paper and Evaluation of This Electrode for the Reduction of Oxygen. J. Phys. Chem. B 110 (2006) 25916–25925. Synthesis and optical absorption property of ordered macroporous titania film doped with Ag nanoparticles. Materials Letters 60 (2006) 2586–2589. Pt loading on multiwalled carbon nanotubes obtained by CVD on fuel cell backings. Proceedings on Electrocatalysis, Edited by R. Adzic, V. Birss, G. Brisard, A. Wieckowski. Y-branched Bi nanowires with metal-semiconductor junction behavior. Appl. Phys. Lett. 85 (2004) 967–969. Synthesis of SnO2 nanostructures by carbothermal reduction of SnO2 powders. J. Phys. D: Appl. Phys. 37(2004) 409–412. Alumina nanowire arrays standing on a porous anodic alumina membrane. Microscopy Study of the Growth Process and Structural Features of Closely Packed Silica Nanowires. J. Phys. Chem. B. 107 (2003) 13029–13032. Electrochemical synthesis of ordered CdTe nanowire arrays. Appl. Phys. A 76 (2003) 537–539. Raman scattering study of rutile SnO2 nanobelts synthesized by thermal evaporation of Sn powders. Chem. Phys. Lett. 376 (2003) 103–107. Large-scale synthesis of SnO2 nanobelts. Appl. Phys. A 76 (2003) 287–289. Micro-Raman and infrared properties of SnO2 nanobelts synthesized from Sn and SiO2 powders. J. Appl. Phys. 93 (2003) 1760–1763. Micrometer-sized Si-Sn-O novel structures with SiOx nanowires on their surfaces. Appl. Phys. A 76 (2003) 999–1002. Synthesis and optical properties of S-doped ZnO nanowires. Appl. Phys. Lett. 82 (2003) 4791–4793. Preparation and characterization of oriented silica nanowires. Solid State Commun. 128 (2003) 287–290. Electrochemical synthesis of copper nanowires. J. Phys. : Condens. Matter 14 (2002) 355–363. Template Synthesis of Y-Junction Metal Nanowires. Appl. Phys. A 74 (2002) 403–406. Blue-light emission from amorphous SiOx nanoropes. Appl. Phys. A 74 (2002) 831–833. Photoluminescence of ZnO nanoparticles loaded into porous anodic alumina hosts. J. Phys. : Condens. Matter. 14 (2002) 12651–12656. Zn Nanobelts: A New Quasi One-dimensional Metal Nanostructure. Chem. Comm. 24 (2001) 2632–2633. S. Sun, “Novel Nanostructured Electrocatalysts for PEM Fuel Cells”, ICMAT2015 & IUMRS-ICA2015, Singapore, June 28-July 3, 2015, (Invited talk). Gaixia Zhang, Qiliang Wei, Shuhui Sun, “Novel Nanostructured Electrocatalysts for Polymer Electrolyte Membrane (PEM) Fuel Cells” 98th Canadian Chemistry Conference. June 2015, Ottawa, Canada. Qiliang Wei, Willyam. Barros, Gaixia Zhang, Marcos. Lanza, Ana C. Tavares, Shuhui Sun, “Graphene supported Fe3O4 nanoparticles as efficient electrocatalysts for H2O2 production in wastewater treatment”. 98th Canadian Chemistry Conference. June 2015, Ottawa, Canada. Qiliang Wei, Gaixia Zhang, Yanqing Fu, Xianyou Wang，Ana C. Tavares,Shuhui Sun, “Graphene supported Fe3O4 nanoparticles as efficient electrocatalyst for H2O2 production and high-performance anode for lithium ion batteries”. ECS Canada. June 2015, Montreal, Canada. Nathanael Komba, Qiliang Wei, Gaixia Zhang, Federico Rosei, Shuhui Sun, “Fabrication of Free-Standing TiO2 Nanotube Array Membranes with Controllable Morphology”. ECS Canada. June 2015, Montreal, Canada. S. Sun “Novel Nanostructured Electrocatalysts for Polymer Electrolyte Membrane (PEM) Fuel Cells”,EMN East and UNESCO Chair MATECSS joint Meeting, Beijing, China, April 2015, (Invited talk). Qiliang Wei, Gaixia Zhang, Ana Tavares, Shuhui Sun, “AAO Template Directed Nanomaterials for Fuel cells”, 17th chemistry and biochemistry graduate research conference, Montreal, Canada, November 28, 2014. Qiliang Wei, Gaixia Zhang, Ana Tavares, Shuhui Sun, “Nanomaterials Based on Anodic Aluminum Oxides (AAO) Template for Energy Storage and Conversion”, 2014 CQMF annual symposium, Shawinigan, Canada, November 6-7, 2014. Shuhui Sun, Green Chemistry Synthesis of Highly Active and Stable Nanocatalysts for H2/O2 Fuel Cells, The International Conference on Electrochemical Energy Science and Technology (EEST2014) - Shanghai, China, October 31-November 4, 2014. (Keynote). S. Stambula, M. Bugnet, S. Sun, X. Sunand G.A. Botton,Material Characterization of N-doped Graphene with Pt atoms and Clusters for the PEM Fuel Cell Electrode, 2014 MRS Fall Meeting & Exhibit,November 30 - December 5, 2014 Boston, Massachusetts, USA. S. Sun, “One-dimensional Pt Nanostructured Electrocatalysts for PEM Fuel Cell Applications”, 15th Topical Meeting of the International Society of Electrochemistry, April 2014, Niagara Falls, ON, Canada (Invited). S. Stambula, N. Gauquelin, M. Bugnet, S. Gorantla, S. Turner, S. Sun, X. Sun, G. Botton. “Structural and Chemical Characterization of ALD Pt on N-Doped Graphene Using Atomic Resolution Transmission Electron Microscopy”. 223rd Meeting of the Electrochemical Society, May 2013, Toronto, Ontario, Canada. S. Stambula, N. Gauquelin, S. H. Sun, S. Gorantla, X. L. Sun, G. A. Botton. “Atomic resolution characterization of platinum on doped graphene”. Canadian Microscopy Society Annual Meeting. 2012, Halifax, Canada. S. Stambula, N. Gauquelin, S. Gorantla, S. H. Sun, X. L. Sun, G. A. Botton. “Atomic resolution characterization of sub-nanometer Pt clusters on nitrogen-doped graphene”. 221st ECS meeting. 2012, Seattle, USA. S. H. Sun, G. X. Zhang, X. B. Meng, D. S. Geng, R. Y. Li, A. X. Sun. “Atomic Layer Deposition of Pt Nanocatalyst on Graphene Nanosheet for PEM Fuel Cell Applications”. 219th Meeting of the Electrochemical Society. 2011, Montreal, Canada. S. H. Sun, G. X. Zhang, R. Y. Li, A. X. Sun. “Platinum Nanowire-based Highly Active and Durable Electrocatalyst for PEM Fuel Cells”. 219th Meeting of the Electrochemical Society. 2011, Montreal, Canada. S. H. Sun, G. X. Zhang, R. Y. Li, M. Cai, X. L. Sun. “A Star Catalyst: New Pt Nanostructure for Cheap and Stable PEM Fuel Cells”. International Conference on Frontier Topics in Nanostructures and Condensed Matter Theory (NCMT-2011), 2011, London, Canada. S. H. Sun, N. Gauquelin, G. X. Zhang, X. B. Meng, D. S. Geng, R. Li, G. Botton, S. Y. Ye, S. Knights, X. L. Sun. “Atomic Layer Deposition of Pt Nanocatalyst on Graphene and N-doped Graphene for PEM Fuel Cells”. 61st Canadian Chemical Engineering Conference, 2011, London, Canada. D. Geng, S. Sun, Y. Hu, R. Li, X. Sun, S. Ye, S. Knights. “Synthesis and Application of Doped-graphene as Non-noble Electrocatalysts for Fuel Cells”. 61st Canadian Chemical Engineering Conference. 2011, London, Canada. N. Gauquelin, S. H. Sun, H. Zhang, A. Sun, J. Y.T. Wei, G.A. Botton, “Applications of aberration-corrected STEM in the study of physical and chemical phenomena”. Canadian Microscopy Society Annual Meeting. 2011, Ottawa, Canada. M. Banis, Y. Zhang, S. Sun, X. Meng, R. Li, X. Sun. “Synthesis of Novel Metal Silicide Nanostructures as Catalyst Support for PEMFCs”. 61st Canadian Chemical Engineering Conference. 2011, London, Canada. S. H. Sun, G. X. Zhang, R. Y. Li, D. S. Geng, Y. Zhong, X. L. Sun. “Single-Crystal Pt Nanowire-based 3D Electrodes for PEM Fuel Cell Applications”. The International Green Energy Conference (IGEC). 2010, Waterloo, Canada. S. H. Sun, G. X. Zhang, R. Y. Li, D. S. Geng, Y. Zhong, X. L. Sun. “Synthesis of Ultrathin Pt Nanowire-based 3D Hierarchical Nanostructures and Their Enhanced Performance as Electrocatalysts in Fuel Cells”. Ontario Nanoscience and Nanotechnology Workshop. 2010, London, Canada. S. H. Sun, G. X. Zhang, R. Y. Li, X. L. Sun. “Development of Novel Nanomaterials for High-Performance and Low-Cost Fuel Cell Applications-- Nanowire-Based Electrodes for Fuel Cells”. Particle Technology Research Center Conference. 2009, London, Canada. S. H. Sun, J. P. Dodelet, D. Q. Yang, G. X. Zhang, F. Jaouen, E. Sacher. “Platinum Nanowires: Growth on Various Carbon Supports and Electrocatalysts for PEMFCs”. 212th Meeting of the Electrochemical Society. 2007, Washington DC, US. S. H. Sun, D. Villers, A. M. Serventi, J. P. Dodelet. “Various Loadings of Pt Nanoparticles on MWCNTs for Fuel Cell Applications”. NanoForum Canada. 2006, Edmonton, Canada. J. P. Dodelet, D. Villers, S. H. Sun, A. M. Serventi, Sylvain Désilets. “Pt 3D electrodes for fuel cells”. 89th Canadian Chemistry Conference, 2006, Halifax, Canada. A. M. Serventi, D. Villers, S. H. Sun, J. P. Dodelet. “Deposition of Pt Nanoparticles onto Multiwalled Carbon Nanotubes Grown on Fuel Cell Backings for Fuel Cell Applications”. 1st Canadian Workshop on NanoCarbon. 2005, Montreal, Canada. D. Villers, S. H. Sun, A. M. Serventi, J. P. Dodelet. “Loading Platinum nanoparticles on Multiwalled Carbon Nanotubes for Fuel Cell Applications”. NanoForum Canada. 2005, Montreal, Canada. J. P. Dodelet, X. Sun, R. Li, D. Villers, S. H. Sun, A. M. Serventi. “Innovative use of carbon nanotubes in PEM fuel cell electrocatalysis”. 207th Meeting of the Electrochemical Society. 2005, Quebec City, Canada. S. H. Sun, G. W. Meng, L. D. Zhang. “Preparation and growth mechanism of silica novel nanostructures”. 1st Academic Forum for Chinese Doctoral Candidates, 2003, Beijing, China. S. H. Sun, G. W. Meng, M. G. Zhang, L. D. Zhang. “Synthesis and Raman Property of Single-Crystalline SnO2 Nanobelts”, C-MRS 2002 Fall Meeting, 2002, Beijing, China. X. Sun, G. Zhang, S. Sun, R. Li, M. Cai. “A General Strategy for the Mass Production of Various Morphology-Controlled Metal and Bimetallic-Composite Nanostructures”. US patent, granted, 2011. Publication Number: 20110197710. X. Sun, G. Zhang, S. Sun, R. Li, M. Cai. “Porous Dendritic Platinum Nanotubes as Electro-catalysts for Fuel Cell Applications”. US patent, granted, 2012, Publication Number 20120003563. Active Reviewer for ~ 20 peer-reviewed journals such as Nature Materials, Nature Energy, Nature Communications, Advanced Energy Materials, Angew. Chem. Int. Ed., J. Am. Chem. Soc, Advanced Materials, Advanced Functional Materials, Small, Chem. Mater., Journal of Chemical Physical Chemistry B, Journal of Chemical Physical Chemistry C, Applied Physics A, Crystal Growth & Design, Chemical Physical Letters, Applied Surface Science, J. Crystal Growth, Nanotechnology, International Journal of Hydrogen Energy, Polymers, Environmental Science & Technology (ES&T), etc. Member: International Society of Electrochemistry (ISE), Electrochemical Society (ECS), Canada Society of Chemistry (CSC), Centre québécois sur les matériaux fonctionnels (CQMF), Plasma Quebec, and Sigma Xi . IUPAC I Prof. Jiang Novel Materials Youth Prize, 2017. Governor General's Gold Medal, Canada, June 2012. Graduate Thesis Research Travel Award, the University of Western Ontario, Canada, May 2011. Electrochimica Acta Travel Award for Young Electrochemists (1 of the 5 holders worldwide), September 2010. Graduate Thesis Research Travel Award, the University of Western Ontario, Canada, May 2009. Alexander Graham Bell Canada Graduate Scholarships (CGS D3) (NSERC) Scholarship, Canada, 2009-2011. Quebec Merit Scholarship Program (ranked #1), FQRNT, Canada, 2006-2007.